Used Callet "Soloist" .470 large bore Bb trumpet in silver plate. 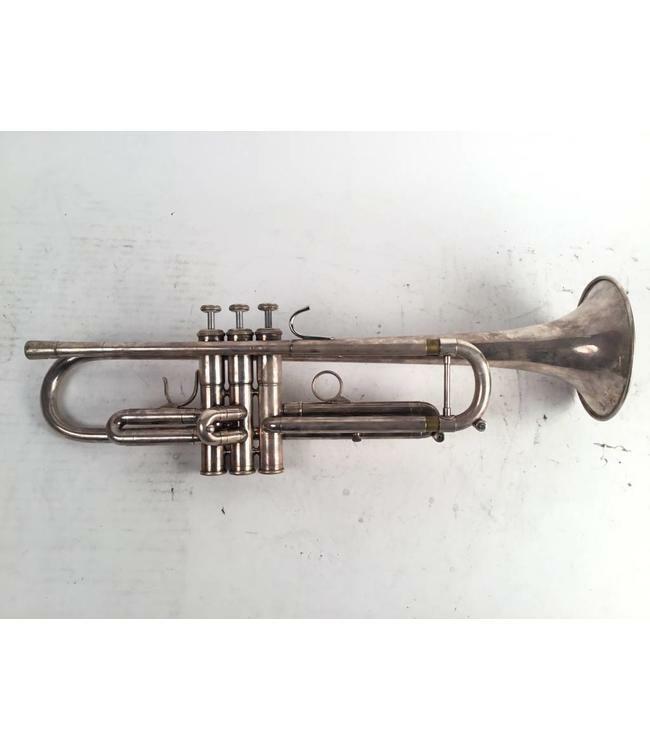 This trumpet is in good condition with minor plating wear/scratches not effecting play ability. Evidence of minor bell repair, also not effecting play ability. Comes with case.